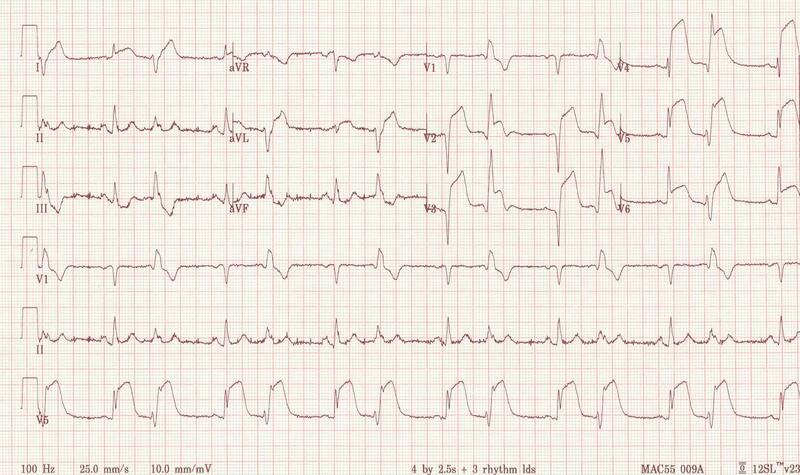 Compare with prior EKGs (Increases Specificity)! Definition (NCI) An electrocardiographic finding of ST and T wave changes consistent with impaired myocardial perfusion. This page was written by Scott Moses, MD, last revised on 9/3/2018 and last published on 4/6/2019.